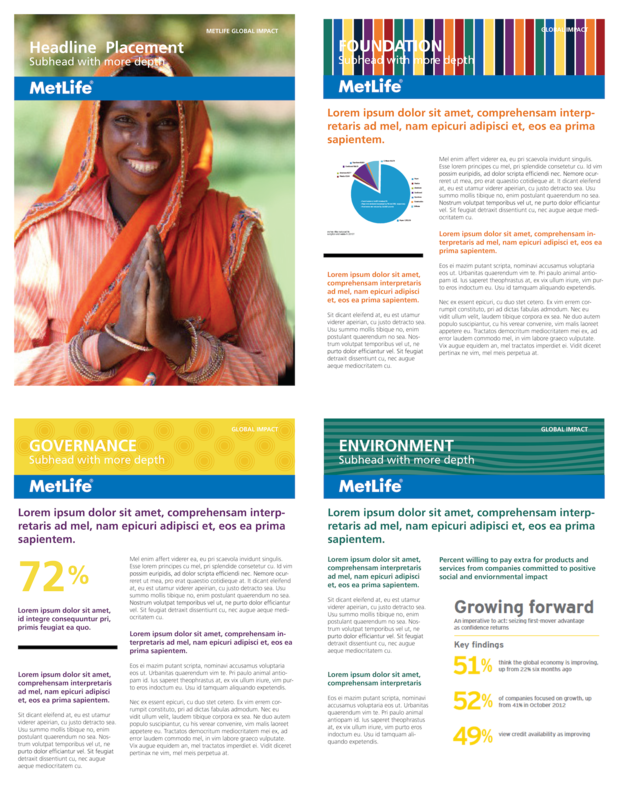 Ideon helped MetLife communicate its 150-year history of making a positive impact on society. 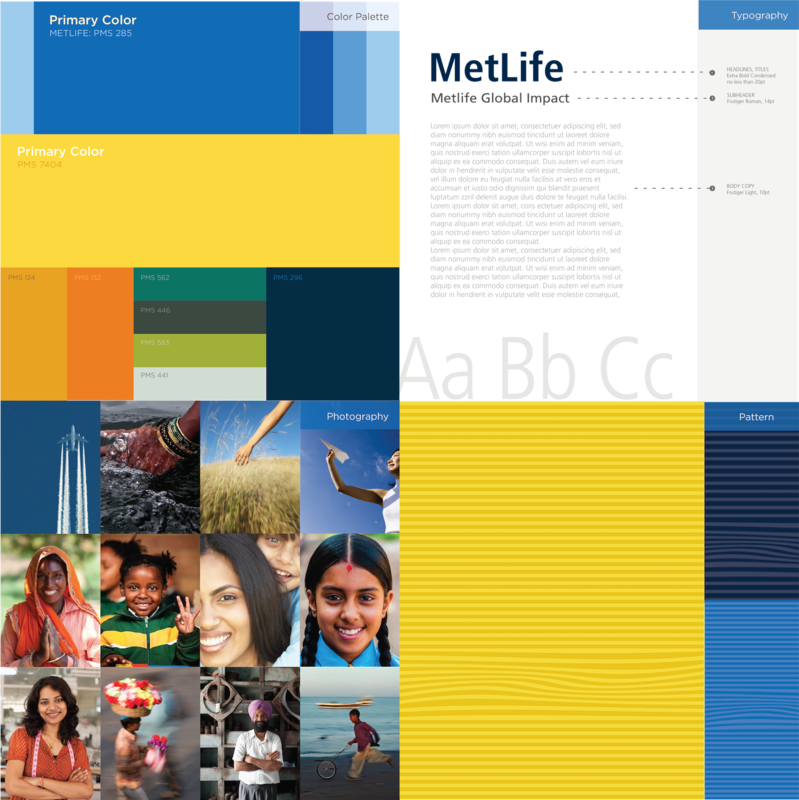 The Challenge—To communicate a story internally and externally about MetLife’s 150-year history of making a positive impact on society, through branding and naming. The Insight—The power of branding to extend the philanthropic reputation of a storied commercial enterprise. MetLife’s social impact program, activities and story was both internally and externally mostly unknown. Conversation: Introduce social responsibility and beneficent impact to a category not particularly associated with it. Clarity: Establish MetLife uniquely in the business of extending insurance focus to include being a force for social good. Currency: Drive exclusive attention to corporate performance with sustained social interest, in line with the current corporate and social climate. Culture: Generate employee awareness through a global launch campaign to attract interest and ask employees to share their social action stories. 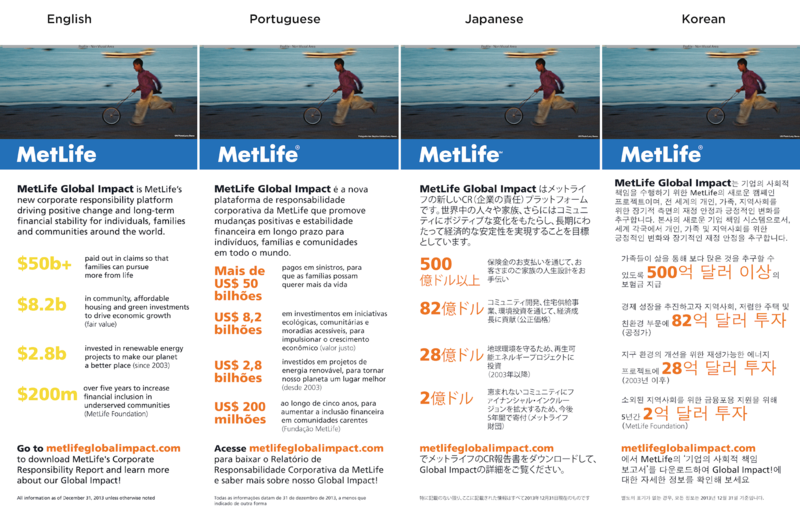 The Results—MetLife committed $200 million over 5 years to financial inclusion programs in support of the new brand. We designed a template that can be adapted to the most pressing issues of the day. 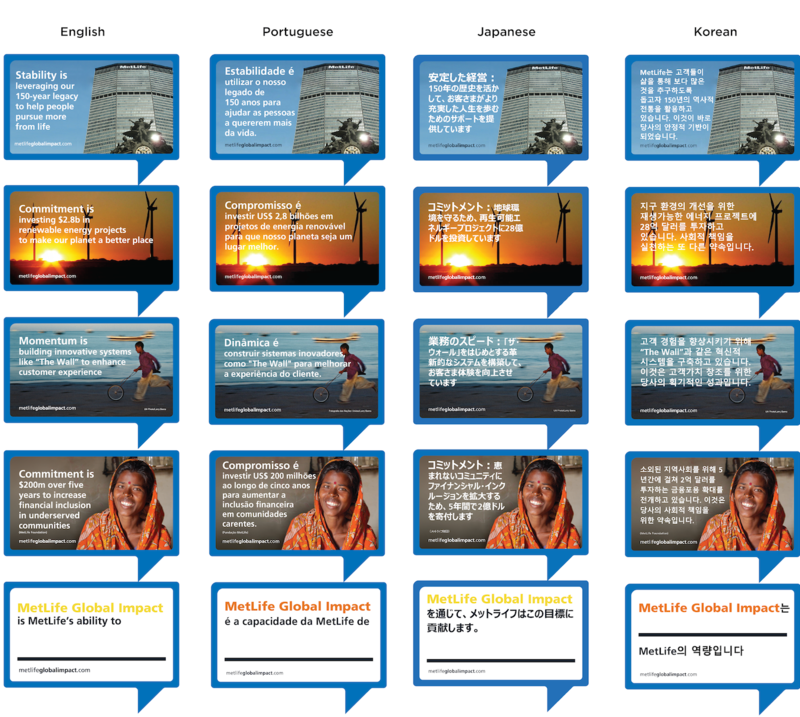 New campaign materials tell MetLife's story in many languages.